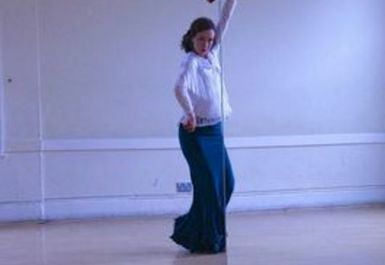 Flamenco classes run by Danielle Allan which are perfect for beginners. These, friendly and dynamic ‘open’ classes are suitable for men and women, young and old. Students with up to two years' flamenco dance experience will also see benefits from attending these classes. Basic technique and co-ordination exercises (including castanets) lead on to weekly Sevillanas practise followed by ‘flamenco puro’ with a different flamenco dance form every six weeks. Flamenco Con Gusto classes take place in Neal's Yard, Covent Garden. The nearest underground stations are Covent Garden, Leicester Square & Tottenham Court Road. Neal’s Yard is tucked between Monmouth Street and Shorts Gardens, accessible through the arches leading into Neal’s Yard. The Meeting Rooms are next door to the Walk-In Back Rub Shop. From Covent Garden tube, it's 3mins walk: go down Neal Street, left at Shorts Gardens and then take the tiny alley on your right, leading to Neal’s Yard.